What does the future hold for Highfield after its 'inadequate' rating? Highfield Leadership Academy was the last resort secondary school to become an academy - on the orders of the government - following years of underperforming. With its past inadequate rating leading to Star Academies, formerly the Tauheedul Education Trust (TET), taking over, what happens now it has again been given Ofsted's worst possible ranking? With the government pushing for schools to become academies and out of the control of local authorities, a reverse of academy status, given in 2016, seems highly unlikely. But one senior teacher on the Fylde coast told The Gazette that, without a turnaround in fortune, Highfield could, in theory, be given to a different academy trust. Education advice firm Browne Jacobson said the Department for Education can 're-broker' schools when there are "concerns about performance". However, there was no suggestion Highfield will not remain part of Star Academies, and government guidance said trusts are given the chance to put things right. "If an academy is judged as having serious weaknesses or requiring special measures, and if it not re-brokered to a new multi-academy trust, Ofsted will monitor the school to check its progress," it said. "We will then carry out a full inspection within 30 months of the academy's last full inspection." The Department for Education was also contacted for a comment. 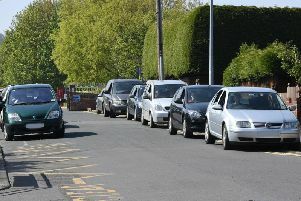 All eyes will be on pupil numbers too, especially after the opening of the competing Armfield Academy in nearby Lytham Road, South Shore by the Fylde Coast Academy Trust (FCAT), which was once in the running to take over Highfield. The school is thought to have a capacity of 1,200, but Highfield's latest Ofsted report, due out on Friday, will say it now has 857 youngsters attending classes. In 2014, that number stood at 1,114, in 2011 it was 1,099, in 2008 it was 1,114, and in 2004, it was 1,124.